We have a large range of the most popular sweets, you can also choose to have your favourites included if not already in stock! Complete with bags to match your Wedding colour scheme, scoops and tongs and of course plenty of yummy sweets for you and your guests to enjoy! 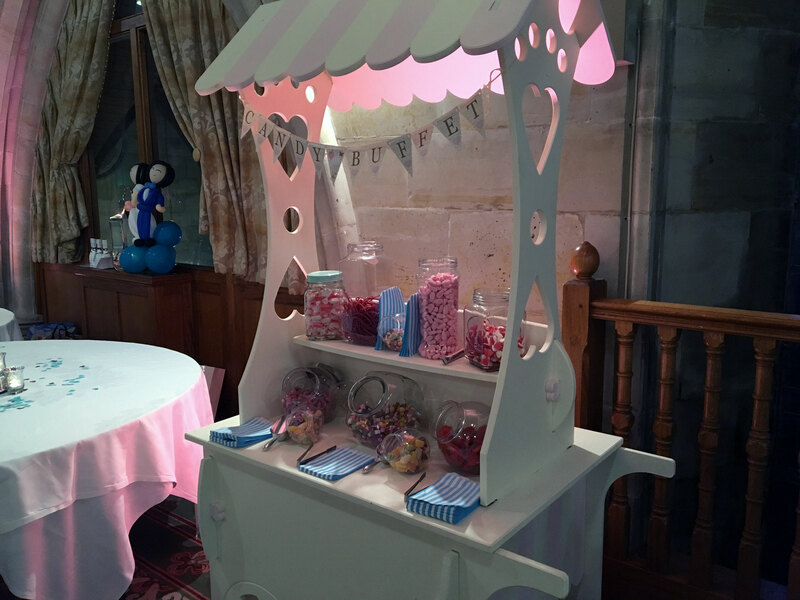 Delivered and set up in good time for your evening reception, fully loaded with sweets, we then collect after your reception has finished (and we don’t expect to be taking any sweets home! ).